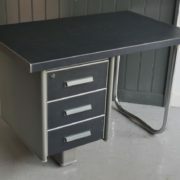 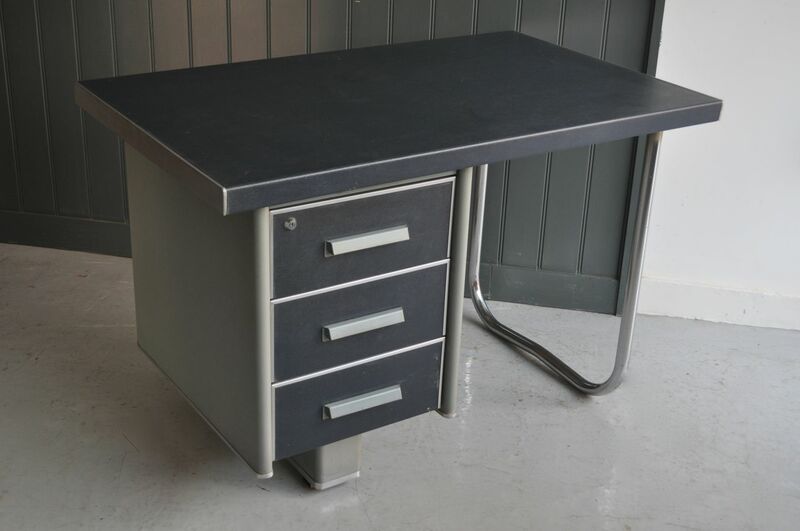 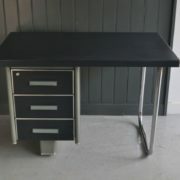 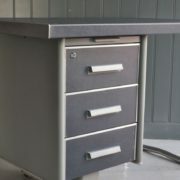 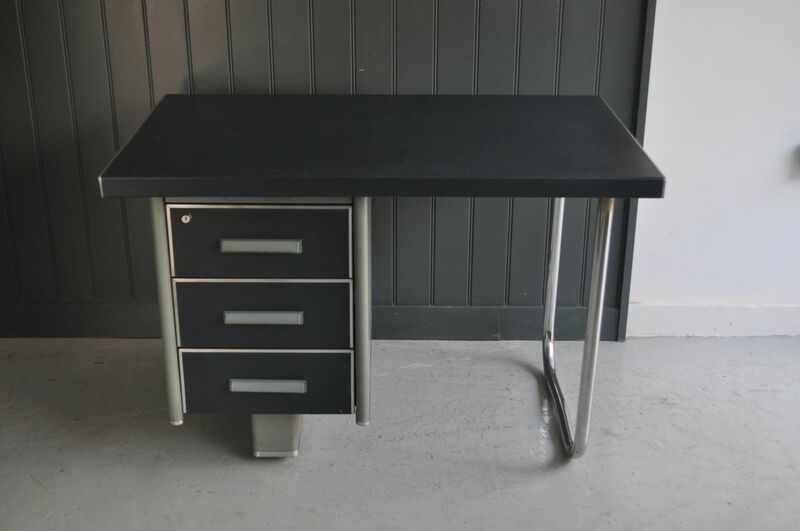 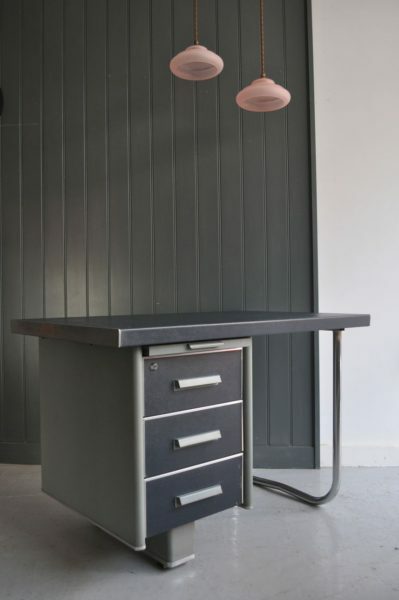 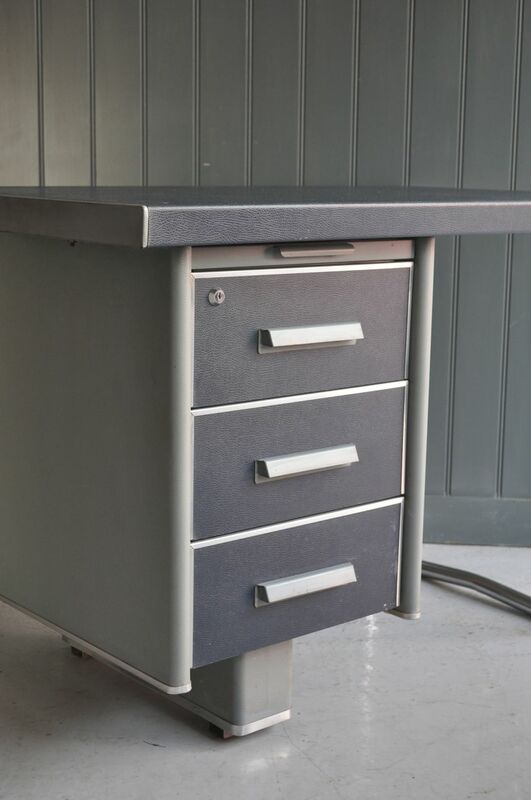 Stylish and compact single pedestal French desk in great original condition. 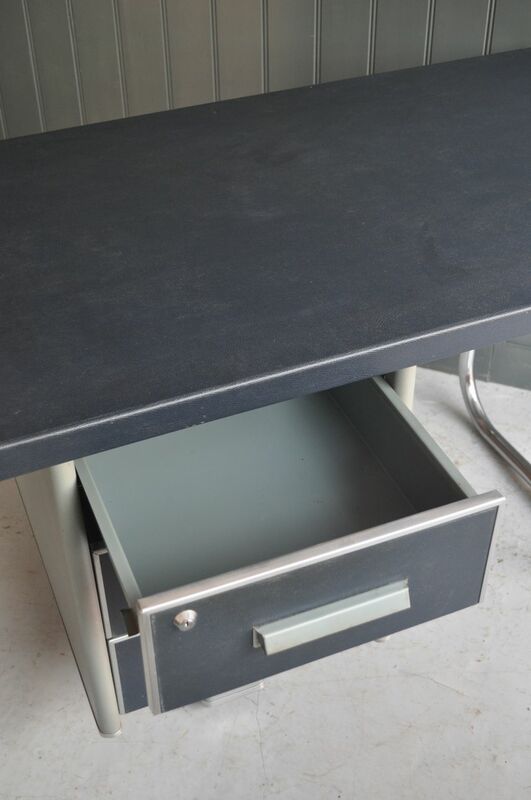 The light/slate grey vinyl is in really good condition, and the chrome leg and aluminium drawer trim provide a nice contrast. 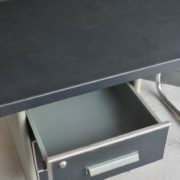 All drawer interiors are clean, and there is also a pen-drawer.